Our raw natural Shea Butter is sustainably sourced in West Africa. This rich super moisturising ingredient is the building block for healthy, protected hair. 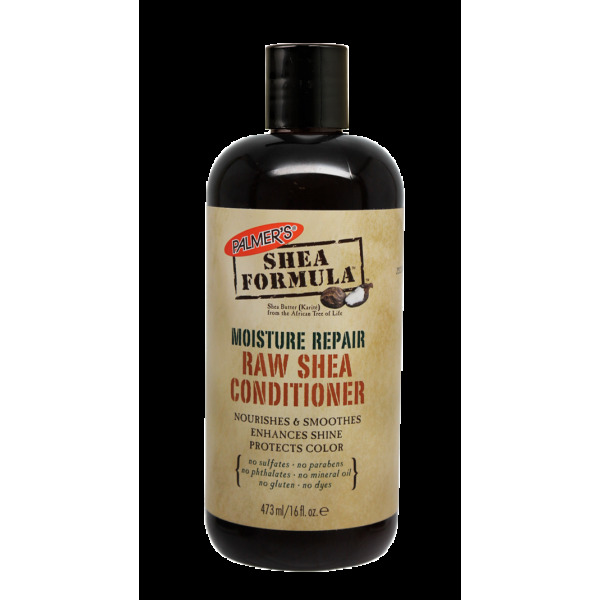 Palmer's Shea Formula Moisture Repair Raw Shea Conditioner is a nourishing sulfate free conditioner that instantly detangles, softens and helps control unruly hair. No Sulfates, Parabens, Phthalates, Mineral Oil, Gluten or Dyes. 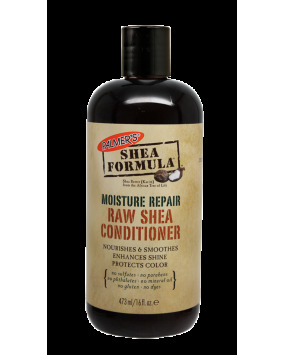 After washing hair with Palmer's Shea Formula Shampoo, apply the conditioner generously to hair, focusing on ends. Leave on for 3-5 minutes. Rinse thoroughly. Raw Shea Butter: Deeply moisturises and repairs.